According to DOL statistics, 11.9% of the total U.S. population has a disability (29.6% when it comes to those 65 and older). But only 18.7% of those who are disabled are in the labor force. With the continuing tight job market, employers should not overlook the opportunity to hire valuable talent despite disabilities. Here are 5 things to know when tapping into this pool of workers. Example: A company with offices on the second floor has no elevator. It wants to hire a wheelchair-bound individual for a secretarial position. She requests a reasonable accommodation because of her wheelchair. Installing an elevator would be an undue hardship and the company would not be required to install one. But if the employer has an office on the first floor, allowing this person to work there would be a reasonable accommodation. If, like many small businesses in 2019, you are looking to hire additional staff, factor in the tax savings from claiming the work opportunity credit. You can take a federal tax credit if a new employee falls into a targeted category, and that employee may just be someone who is disabled. A targeted group for purposes of this tax credit includes a vocational rehabilitation referral (which may cover someone who is disabled) or a qualified veteran certified as being entitled to compensation for a service-connected disability and meeting certain other requirements. Be sure to submit IRS Form 8850 to your state workforce agency within 28 days after a new employee begins work to ensure that he or she entitles you to the credit. Note: The work opportunity credit is scheduled to expire at the end of 2019 unless Congress extends it. 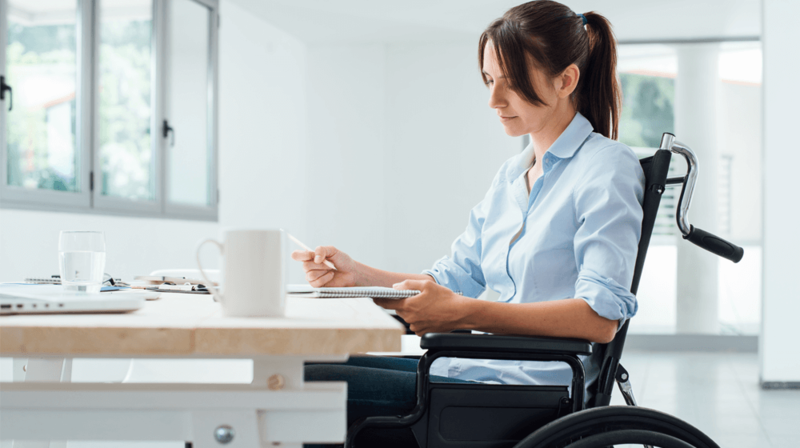 If you have to make structural changes to your facilities to accommodate an employee’s disability and be ADA-compliant, you may be eligible for a federal tax deduction (instead of having to depreciate any capital cost). The deduction for removing architectural barriers (e.g., lowering water foundations and bathroom mirrors for wheelchair accessibility) or making certain other changes (e.g., adding handicapped parking spaces) is capped at $15,000. Small businesses can take a federal tax credit to provide access for employees with disabilities (i.e., be ADA-compliant). This is in addition to the deduction for removing architectural barriers. The disabled access credit is 50% of qualified expenses over $250 but not over $10,500, which means a top annual credit of $5,000. Small businesses for this purpose mean those with revenue not exceeding $1 million or having no more than 30 full-time employees in the previous year. The DOL’s Office of Disability Employment Policy offers several incentives for employers interested in hiring individuals with disabilities. Also, check out programs in your state that help with this.